This Duplex is located four blocks from Main Street. It is 1524 square feet. 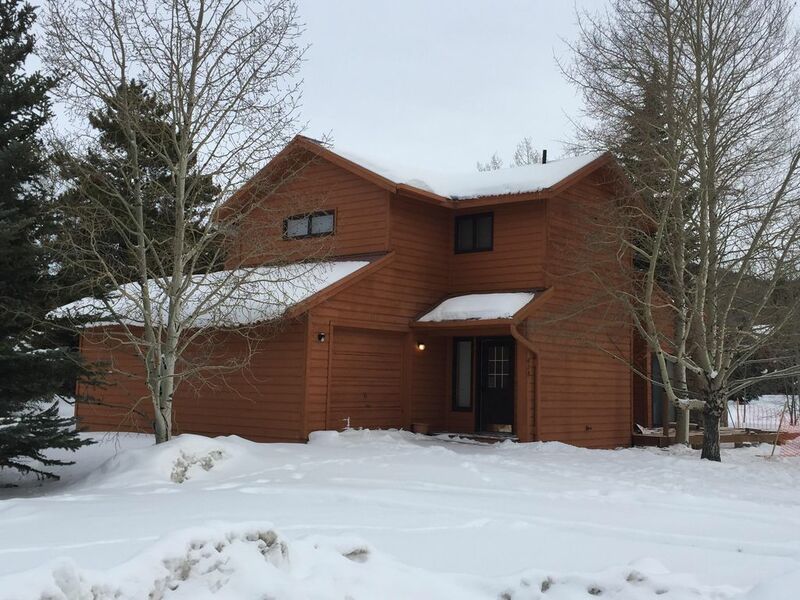 It is located in a very quiet residential part of town, in the Mountainside Subdivision. This townhome has just had a major remodel, new kitchen, new tile, new bathroom vanities and tile, new paint, new appliances. It is a two bedroom, two and one half bath with a one car garage. It has access to the beautiful clubhouse, with indoor pool, both indoor and outdoor hot tubs, sauna, steam, and racquet ball courts. This clubhouse is just one block away. This unit has high speed wireless internet . Sleeping Arrangements: Both bedrooms are upstairs. The master has a queen size pillow top, NEW 32" HDTV AND BLU RAY, and a full bath. The other bedroom has two double pillow top beds and a full bath. There is also a queen sofa sleeper in the family room. This unit sleeps a maximum of 8. Floor Plan: Other than the bedrooms previously described, this unit has a large family room with queen sofa sleeper, Loveseat, chair and recliner. There is a NEW 42" HDTV AND BLU RAY, and rock wood burning fireplace. Windows surround this room with views of the mountains to the south and west. There is a full kitchen with microwave, stove/oven, dishwasher and refrigerator. All the dishes, pots, pans and utensils are provided. There is a breakfast bar the entire length of the kitchen with bar stools. There is NEW dining room table with 6 chairs and 4 new barstools. There is a half bath and washer/dryer on this floor as well. There is a new patio/front deck as of December 15, 2018, and New Gas grill. NOTE: All windows to be replaced spring 2019. Half a block from Clubhouse with indoor pool and indoor and outdoor hot tubs!